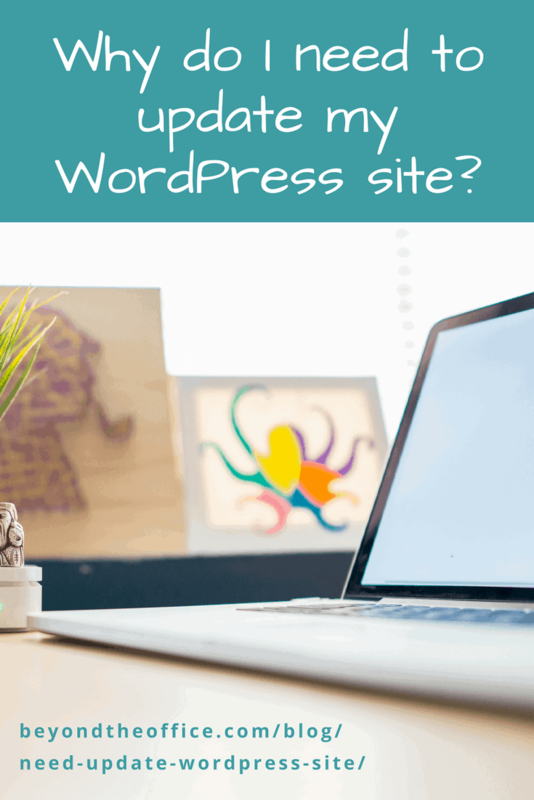 If you have a WordPress site, you may have gotten a notification from your website or your hosting company when there’s an update available for WordPress. Many people ignore these update notifications. Here’s why you shouldn’t. It’s important to keep your website software updated to help prevent security holes that could allow unauthorized access to your site, so they should generally be applied as soon as possible. Security and code fixes can be released at any time, and sometimes may be clustered together. In addition to security updates, WordPress updates can include function updates/upgrades and bug fixes to fix the intended function. On average, WordPress release three major release each year. This means that at a minimum you will need to update your site at least three times each year. While major updates may contain security patches, they most often contain feature updates/upgrades and bug fixes. To check out all of the releases and what’s included in each, check out the release category archive on WordPress.org. Themes – I update themes next for a similar reason as plugins. But, as I may have (definitely) mentioned in other posts, you shouldn’t have too many themes installed on your site. Basically only your active theme, and it’s Parent Theme, if applicable, and maybe a Twenty-something theme as an emergency backup. It’s still important to keep themes updated, even if you’re not actively using them, because the code is still there on the server to be potentially vulnerable. WordPress – yup, can’t forget this. After everything else is all snug and updated, time to update WordPress. Keep it up to date to keep your website healthier. Share the post "Why do I need to update my WordPress site?"